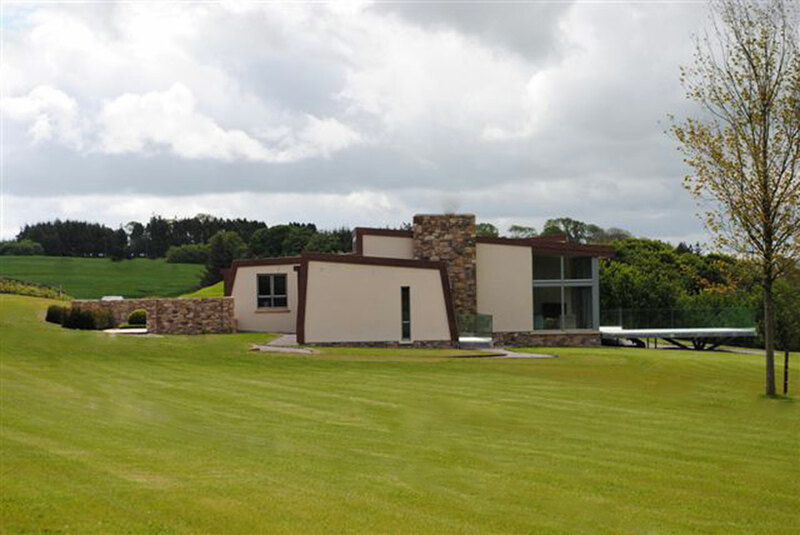 In 2007 we were presented with the extraordinary opportunity to design a new build country house on an expansive greenfield site with distant views of the Slievenamon and Knockmealdown mountains overlooking the central plain of Tipperary. The client asked us to come up with a concept that would encapsulate his new lifestyle. 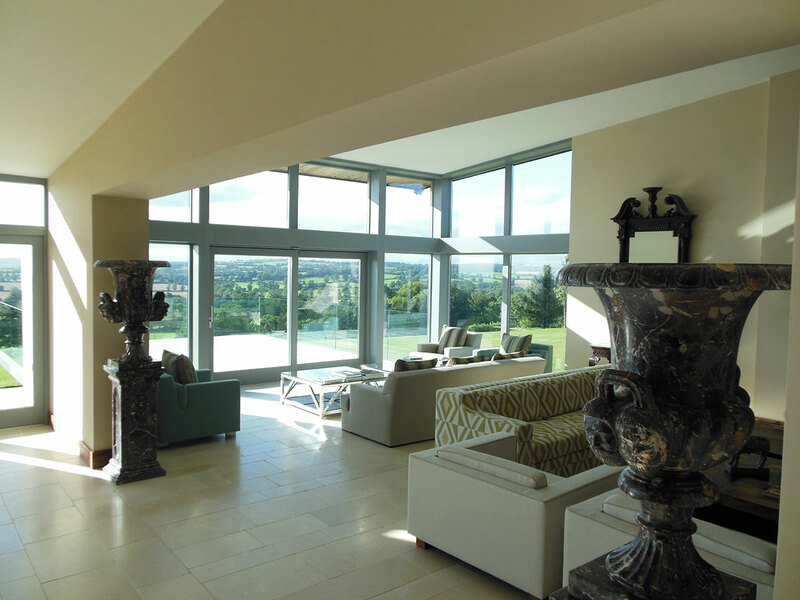 He was moving from a traditional single storey dwelling after 20 years and wanted to make a new start surrounded by his art collection and simple modern furniture in a contemporary house. 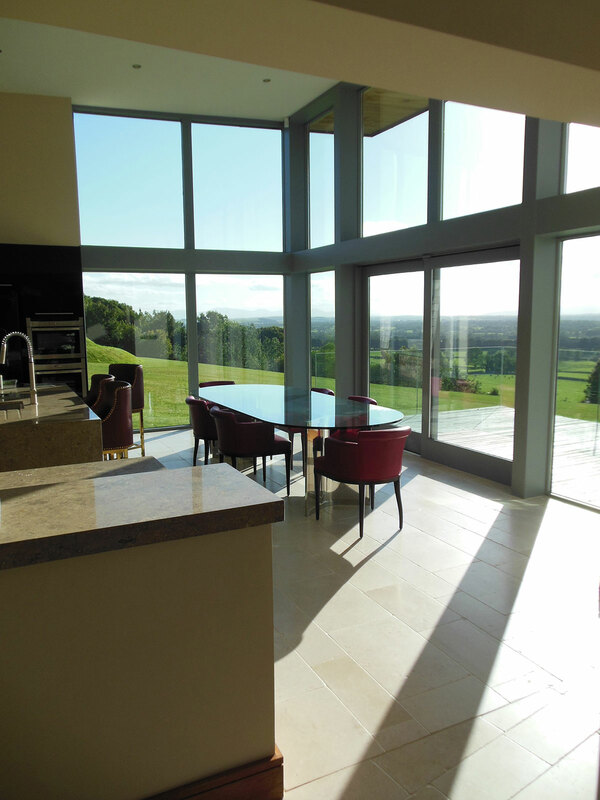 We designed a house of great comfort, with large windows to the south and west taking advantage of the passive solar gain as well as framing the wonderful views. 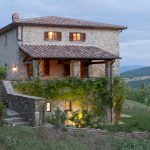 To the north, the house presents a more closed aspect and settles into the hillside producing a sheltered arrival court. 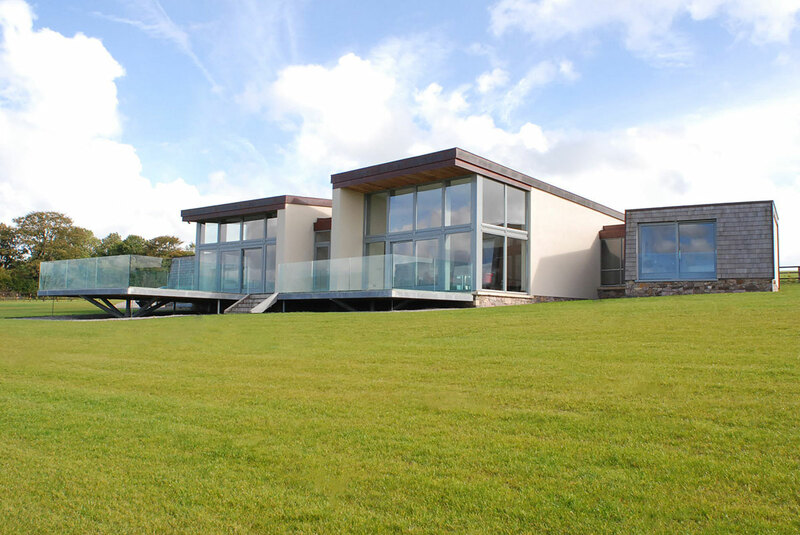 The house was designed to the highest standards of insulation and features a sedum roof.